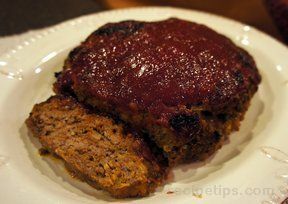 The title says it all...this meatloaf is better than any other! Moist and delicious, this will please the family. The brown sugar in the ketchup for the topping, is just perfect. Heat oven to 425°. Line a baking sheet with nonstick foil. Whisk 1/2 cup ketchup with eggs, milk, Worcestershire sauce, salt and pepper in a large bowl. Add meatloaf mixture, onion, bell pepper, saltines and garlic. Mix well with hands or a wooden spoon. Place on prepared baking sheet and pat into an 11x5 inch oval loaf. Mix remaining ketchup and the brown sugar; spread over loaf. Bake 50 minutes or until a meat thermometer inserted in center registers 160°F. "Not my favorite, but OK. I used all ground beef and would have thought the Worcestershire would zip it up, but was pretty bland for my taste."